Tax doesn't have to be taxing, or so the famous marketing slogan says, but the truth is that the prospect of completing a tax return is so daunting many of us either forget or put it off completely. But forgetting your tax return will cost you - literally. The deadline for online self-assessment tax returns for the 2014-15 tax year - which ended on April 15, 2015 - to be completed was January 31. So it's been and gone. If you should have filed a tax return but failed to do so, bad news - you'll be on the receiving end of a £100 fine. That's not all. If you've missed the tax return deadline and are therefore late making a payment you'll be charged 3% interest, which is on top of the fine. You might have reason to appeal against your fine but these are considered on a case by case basis and HM Revenue and Customs apply what is called a 'reasonable excuse' procedure. Unfortunately, simply 'forgetting' is not classed as a reasonable excuse. What is are situations such as a computer failure while attempting to complete an online return or an unexpected hospital stay? In the majority of cases, you will have to pay. And an unexpected tax bill could hit your finances hard, knocking your monthly budgeting plans off track and having implications in other areas of your life. You may be able to discuss spreading your payment over a certain period of time, which can make the process easier to absorb and manage. What you must absolutely do is pay the tax you owe - otherwise HMRC is entitled to take 'enforcement action'. This means they can take a number of actions to recover the money from you, including collecting what you owe through your earnings (or pension), using debt collection agencies to retrieve the funds, seizing items you own and selling them, and taking you to court. Ultimately, HMRC could make you bankrupt and close down your business. These are worst case scenarios. The best option is to discuss a payment plan with HMRC and seek to settle what you owe as soon as possible. If you do not have the means to pay the amount, a logbook loan can help - allowing you to clear the debt. 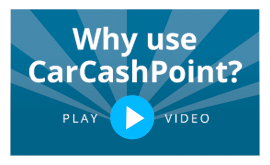 A logbook loan from Car Cash Point will enable you to raise money quickly to pay tax bills. It's a speedy way of getting your hands on much-needed cash without undergoing credit checks, and getting a loan from us won't leave any record on your credit history. Put it this way - it's a convenient method of helping you overcome a financial hurdle, which an unexpected tax bill definitely is. If you need help, you can always turn to us - as well as making a note of the 2017 date to ensure you don't miss the next tax return deadline!